Plantation Roots reveals how so much of Hawaii's current-day community and culture stems from the sugar plantation system of the turn-of-the-century. From Bullets to Ballots tells the sensitive, insightful story of how returning WWII veterans were not about to go back to the plantation and instead fought back to make Hawai'i more equitable for all. The Politics of Plate Lunch is a penetrating yet tender look beneath the “island paradise” stereotype to explore the inter-ethnic and generational complexities of contemporary Hawai'i. 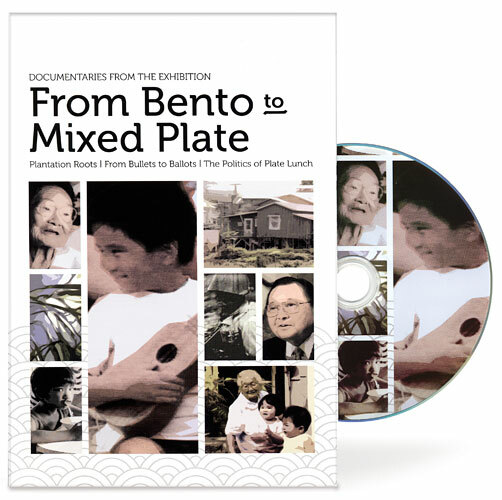 Produced in conjunction with the From Bento to Mixed Plate: Americans of Japanese Ancestry in Multicultural Hawai‘i exhibition.